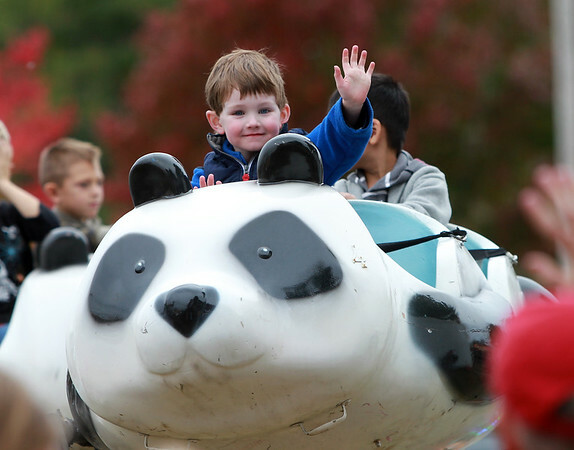 William Snyder Green, 4 1/2, of Newton, waves to his parents while on a ride at the Topsfield Fair on Monday afternoon. DAVID LE/Staff photo. 10/13/14.